Many beginners think that Google Adsense is the only way to monetize their site instead of searching other best Adsense alternative. A lot of people looking to create websites and seek profit from Google Adsense, but after a period whether it is short or long the moment when you set up your own Adsense Google Account you will be disappointed if they reject your request or your account will be blocked by Google Adsense for violating your blog some laws. Unfortunately, because of this, many people stopped publishing new content on their sites and felt it was the end of profit online. If you are one of them, do not worry. You are in the right place, in this article I will share with you the best alternative to Google Adsense in 2018 which you can use to profit from your blog. There are hundreds of ad networks online, but good networks are very few. If you’re struggling to get Google AdSense approval or have been rejected before, you can try using the best Adsense alternatives on this list. PopAds Network is famous for popup ads this company has good profit rates and can make a profit from all your visitors, regardless of their countries, whether Arab or foreign countries. One of the great features of PopAds is will pays you every day as long as your profits are $5 or more per day. The quality of their advertising is good, they have many pop-up ads, pop-up, and other profitable ways. Your account is easily approved and approval appears only after a few minutes. PropellerAds Media is one of the best Adsense alternatives. The nature of profit from this company is through pop-ups and whatever space of your site you will find it acceptable to this company. You can also profit from them by displaying banners on your site but pop-up profits are better. Also, if your visitors from mobile, this company is one of the best alternatives to Google Adsense because it works to provide you with the possibility to display ads on mobile applications to which you can make a large return per thousand impressions. 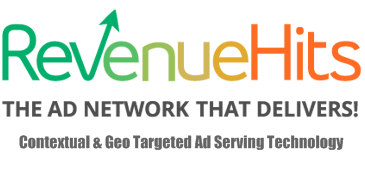 Revenue Hits is a very powerful network for several years and it works in this field. My friend has been working with them for a year now and the results are great. Revenue Hits pay you for the CPA results. Another good feature is that they have different advertising channels. You can create Banner Ad, Sliders, Popunder and more. Create your account in a minute. Payment methods: Paypal (Paypal), Payoneer. The profits are sent every 30 days. Another best Adsense alternatives, VigLink allows users to place their own links in content rather than just floating them on the surface of some random ads. These links open up on their affiliate products and enable you to earn a commission on every purchase made through your links. The commission rate varies from product to product, 3-4% to 15% depending on the product. VigLink keeps 25% of the commission and 75% goes to you, the minimum payment is $10 you can get paid every month and payment is made through PayPal only. Chitika has many similarities with Google AdSense and it is definitely a good option for best Adsense alternative which makes it easy to use if you’re already comfortable with the Google network. You can customize your ads and the network offers contextual ads for use on your various websites.This is another network that can be used together with AdSense without penalty. Payment methods: Paypal and check. Minimum of Paypal: $10. This is very good for beginners. You can register from here and you will get approved as quickly and easily as possible. BidVertiser is one of oldest best Adsense alternative and the leading advertising companies in the field of publishing pay per click ads that are unique. With many features that are not present in the competing advertising companies. The sign-up process is easy and you are accepted very quickly once registration is complete. Yllix is a well-known network that has proliferated dramatically in recent years and it’s running a thousand impressions system and enjoys providing many other options. Their main page may seem simple but the control panel is large and has a lot of details and acceptance in this company is not difficult. Yllix Media contains pop-up pages, converting mobile visitors to mobile links, banners, full-page ads. And many other ad templates that lead to a high CTR. Definitely a good choice for beginners. Payment methods available: Paypal, Bank transfer, Payza. It is one of the most popular advertising networks and it is a good alternative to Google Adsense which is available for everyone. They allow you to earn through various ad-formats like In-line text ads, contextual ads, rich images and more. You can earn up to 60% of the revenue share, depending on the performance advertisers reach on your website sites and the clicks they’ve got. Sometimes ads seem boring for users of various pop-ups or hide content, but the gains we earn are a little higher compared to other ad networks. Payment methods: You will receive your payments by check or Paypal. minimum payment is $50. Payments are made twice a month. Media.net is a good alternative to Adsense for what has to offer, Media.net is a leader in the tech business that creates advanced publicizing digital for the two publishers and advertisers. They have more than 500 employees in their main branches across – New York, Los Angeles, Dubai, Zurich, Mumbai, and Bangalore. Media.net runs the world’s largest advertising program it runs it’s search engine giant Yahoo! It also runs the content network ads program in Bing. Media.net has large offices worldwide building global advertising business. In addition, it takes two days to get your account approved by Media.net. If you have a popular website with at least 50,000 page views per month, Adversal is an option for you to make money on the internet. Adversal has a good click-through rate, and images for ads are optimized for the site as well as for pop-under and CPM ads. With Adversal there are options to use the program in several languages, which work well enough. When you sign up for Adversal, you can expect a quick approval if you meet their criteria. Payment methods: Paypal, bank transfer or check. 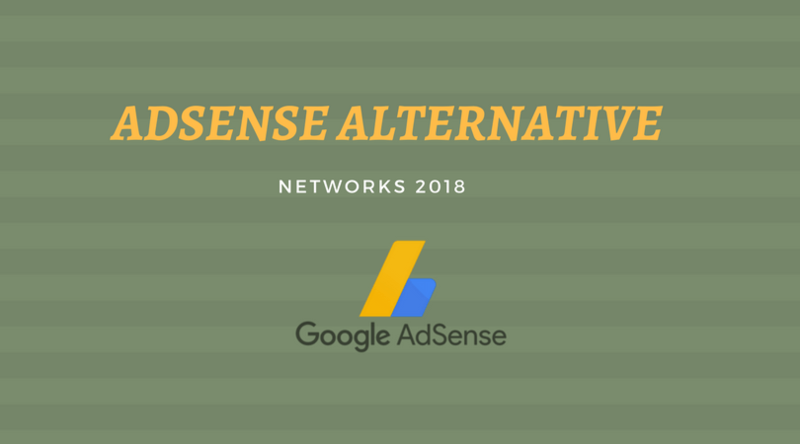 We have mentioned above the best Adsense alternative in 2018, You can sign up and work with any of these ad networks to monetize your site. The list is based on market research and experienced users. The whole site above could change ToS accordingly with time. If you find any changes please inform us by commenting on this article.